An eco-friendly lunch bag with a simple and attractive design. 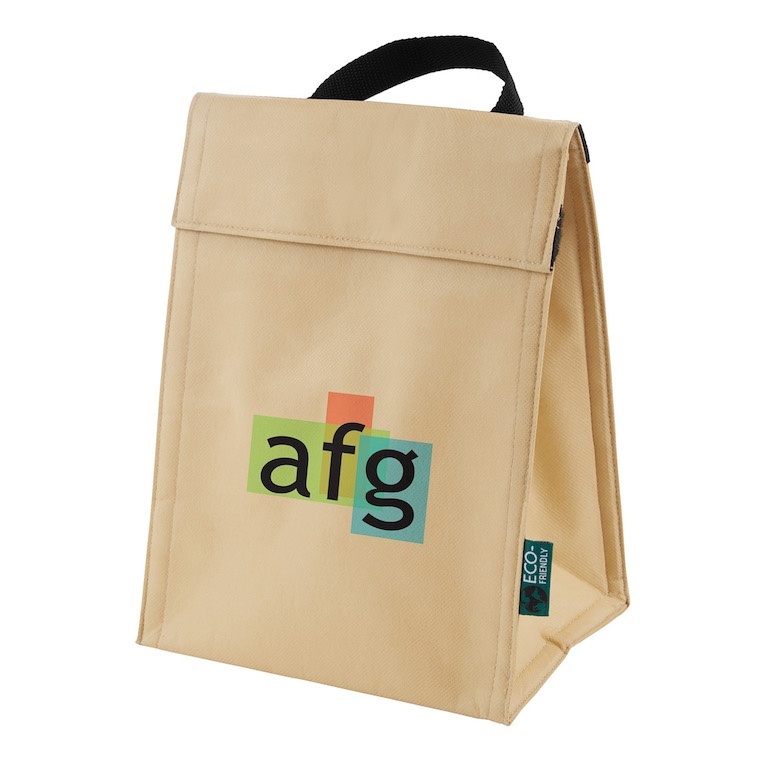 It's the perfect size for storing a packed lunch and offers a large branding area for your company message. It's made from recyclable Polypropylen material and comes with an eco-friendly tab to the side.